FM 170 runs 49 miles between Presidio and Lajitas. 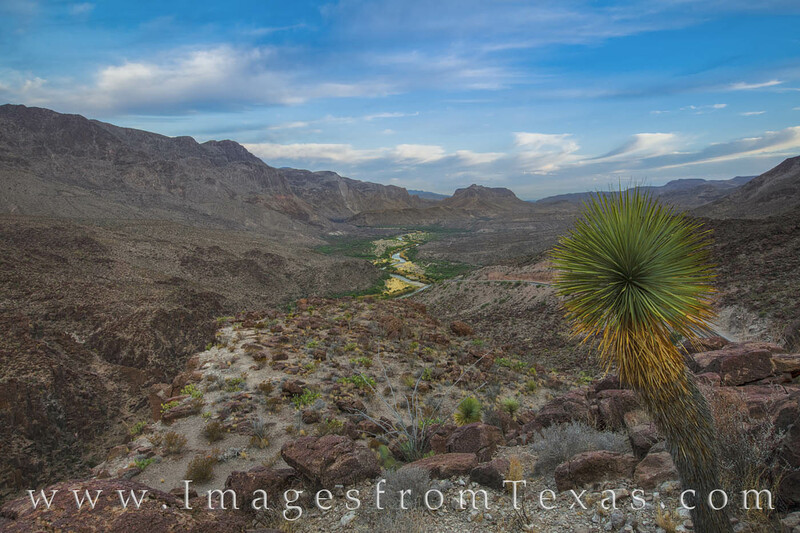 A portion of this road travels through the southern border of Big Bend Ranch State Park along the Rio Grande. While this area is remote and sees only a handful of visitors a year, this is one of the prettiest drives in Texas. One of the highlights of this road is the “Big Hill,” a stop that allows the traveler to enjoy sweeping vistas of the Rio Grande and mountains of both Mexico to the south and Texas to the north. Seen here in the soft light of morning, this amazing Texas landscape runs west as far as the eye can see. I lingered at this location for over an hour and never saw another car.